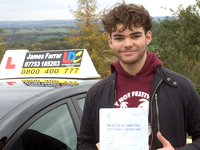 I found James to be a fantastic instructor, as his way of teaching made it easy for me to pass my test first time as everything he said was easy to follow and really stuck in my head. LDC also give you a workbook which I found especially useful with manoeuvres due to its detailed step-by-step guide. 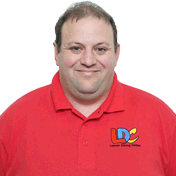 James and LDC were extremely professional throughout my learning experience.